Late last year, I began learning about power meters for runners, I have read countless books and articles, viewed athlete’s data files, listened to podcasts and watched videos on YouTube. I must have hundreds of hours clocked up in learning about this topic. I feel like I have the theory part at a level I am comfortable to talk about, I need to now start learning the practical side so I can have a greater understanding on training, racing and coaching with a power meter. This week I finally got around to purchasing a Stryd power meter that I hope to receive in the next week or two. I thought it would be cool if I started blogging about what I have learned already, what I will learn in the coming months and see if we can all learn as much as possible while having fun and see what I believe will be a valuable performance tool. I started playing around with swim cords on a consistent basis from December 2016. From this time through to June 2017 when I competed in an Ironman, I had completed 28 sessions with an average session taking approximately 10 minutes. From June 2017 through to June 2018 when I competed in another Ironman, I had completed 67 swim cord sessions. This time I played around with the sessions and what I was trying to achieve within my training block. Up until this Ironman in June 2018, I had found very little value in using swim cords but I wasn’t ready to call it quits on using them because in theory, including swim cords in your weekly training makes sense. While I plan to write in detail on my target rankings in another blog, I used this as part of my findings to determine whether using swim cords are worthwhile continuing or not. Personally I have found using swim cords low value and as of this week, I have stopped using them. They had a noticeable negative impact on 14 sessions out of 33 completed in this time. For a person who can only get to the pool to train three times a week, every session has be high value. It simply comes down to me wanting to protect the quality of my swim sessions. Between 3-5 swim cord sessions, 2 gym sessions and three swim sessions per week, it is creating too much fatigue. If I got my strength work through hills, low cadence, paddles and core strength sessions, I would most likely continue to test and play with them but I can’t help think a good quality strength program in the gym will out rank using swim cord. I will report back in a few months. It is very easy to get into the habit doing the same kind of long run each week. That moderate effort for a long period of time. I am guilty of this myself as I like to do my long runs with a small group of runners. However, by making some changes to your weekly long run in the lead up to your race can not only have a massive impact from a physical prospective but also from a psychological point of view as well. Here are some great options for mixing up your weekly long run. Adding walking within your long run is the best way to increase volume each week and lower the risk of injury. Simple things like adding 30sec every 10min of running, run 9min and walk 1min. every 5min of running add 20sec of walking. You can mix and match this to fit in with where your fitness is at. Not having any carbs before or during the run and keeping the pace moderate. 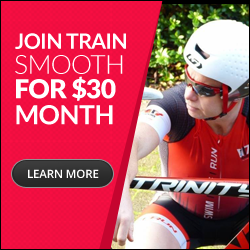 This is a great session if you are training for a marathon, Ironman or longer. I would however recommend bringing some nutrition with you. Best to have it and not need it than need it and not have it. Breaking your long run into three parts and running medium effort, back the effort off into a moderate effort and increasing it again into a medium effort. For example if I had a Ironman athlete do this sessions maybe three or four times in a twelve week lead up to their race, the session would look like 10 miles medium effort, 10 miles moderate effort, 10 miles medium effort. The medium efforts should be uncomfortable but manageable. Adding 5x 1min medium effort (uncomfortable but manageable), 1min easy in the early part of your long run, again somewhere in the middle and again towards the end. The rest of the long run is done at a moderate effort. This isn’t the best session if you suffer from back pains but is a great session to do in the off season and even better to do with friends. 10 push ups every 10 minutes of running. If you do this with your friends, you can have some fun and do one or two extra push ups each time so by the end, you can say you did more push ups. Chopping between 1min at race effort and 1min easy is a great way to get your body use to the demands of race day without the damage of doing a race. To me it is a greater session to help with focus. The difference between a good race and an average race is often focus. Note that I don’t mention pace. I don’t really care about pace. I care about the effort. What does it feel like for you. In this episode of Ask The Coach, I answer a question on the return for your investment on an indoor cycle training. Things to consider and some other training advice. In this episode, I talk about knee pains and looking outside the box and giving other cause for injury. Following on from last Monday’s blog about open water swim skills performed in the pool, I thought I would touch on open water training. So often I see triathletes when they are doing an open water swim, they will walk into the water and start swimming and swimming and swimming. There is no purposes to this session apart from clocking up some miles in the open water. Clocking up miles in open water is good if that’s what you are after in training but there are other ways to really get a band for your buck when it comes to open water training with the limited training time like so many of us have. Training for beach starts, deep water starts, swimming around buoys, including some max efforts, exiting the water are some aspects that should be part of your open water training session. This is a good open water swim session you can use once a fortnight in triathlon season that will have a impacted to your race. 3 x 250m Freestyle – Out and back 3 times. Practice beach starts. Don’t push the pace on these; focus on technique, breathing and sighting. 2000 meters (Practice sighting every 6-10 strokes). Swim out 250m around a bouy and back to the start. Race pace. 30 Seconds to 1 mins rest in-between each set. Swim out 250 m at race pace, full speed. Swim back at race pace, full speed. flush out the lactate and cool down.